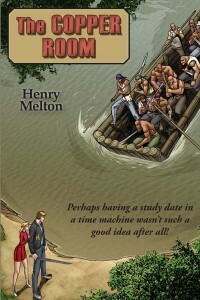 Jerry had the greatest study aid ever — a copper room where time could be adjusted faster or slower, which he had helped his inventor uncle build. But being able to cram a fifteen hour study marathon into five minutes paled to the notion of spending some quality time with his new girlfriend Lil. So he contrived to steal her away from her overly protective parents for just a moment — long enough to spend a whole day with her. It worked perfectly, until they stumbled against the other set of controls and opened the door to the far future, with no way back!